Most Democrats who besmirch America First voters as Nazis have not a clue that Nazi is shorthand for the National Socialist German Workers’ Party, which Wikipedia categories as “far-right.” Impugning Republicans and conservatives as Nazis is, of course, nothing new. Difference is with Trump, though, none of the lying opprobrium spewed by Democrats, the DMIC ["Democrat Media Industrial Complex"] and Never Trumper acolytes sticks. In fact, the more the lie is told, the bigger its untruth manifests itself to sensible Americans with working cognition. Hell, even the foreign minister of the Islamic Republic of Iran – that bastion of peace, prosperity, freedom and free markets – showed himself to be loyal to the Democrats, DMIC and Never Trumpers when he admonished the U.S. for her “Nazi disposition” under Trump. No Republican before Trump would have lasted in the Third Reich-ian wilderness as long as he has, and that’s because history – truthful history – is on his, and we supporters’, side. Hitler didn’t invent nationalism; he adulterated and co-opted it. Can we use Trump’s remark as an opportunity to once and for all lay to rest the falsehood that the Allies in World War 2 fought, sacrificed and died to defeat nationalism? World War 2, at its epicenter core, was a turf war between Hitler and Stalin – two Leninist/Marxist dictators. The Allies – totaling 17 nations (including ourselves) – warred against the progeny of Leninism, Marxism and Mussolini’s authoritarian fascism; fascism is ultra-nationalism that was also the basis for Japan’s aggression in the war. Yes, we had to side with Stalin; he wanted only the Eastern European bloc, whereas Hitler wanted most of Europe and parts of Africa. Extreme collectivism forces good and just nations to pick the best of the worst choices. The talking point of Democrats that nationalism leads to war and imperialism is correct in the context of the history of the Axis powers during World War 2. In Trump’s case, he hasn’t remotely looked like a pro-unnecessary-war president, and as a candidate, he promised war would be our last resort. In fact, Hitler was exact opposite of a Marxist -- he came to power as an anti-Marxist and anti-communist, and Nazi socialism was not liberal at all. Also, Logis' link for the claim that Democrats "whitewash the actual horrors of Nazism" is to an article detailing how MSNBC host Joe Scarborough drew parallels between Trump and Hitler. That's not whitewashing Hitler; it's an opinion about where the U.S. could be headed if Trump continues unchecked. Logis concluded by ranting: "The future isn’t Republican versus Democrat; it’s nationalism versus Americanized Leninism. America First patriots versus increasingly useful – and violent – useful idiots. So much for "truthful history." The Media Research Center likes to pretend that the conservative position on a given issue is de facto the correct one and that merely repeating it equates to a debunking or discrediting of an alternative view. So we see with the MRC's attacks on news and commentary about voter suppression tactics allegedly being used in Georgia under Republican Secretary of State Brian Kemp, who's running for governor and arguably has an interest in suppressing potential votes for his opponent. For instance, an Oct. 12 post by Brad Wilmouth groused that "a number of shows on both CNN and MSNBC have pushed claims by Democrats that Georgia Republicans are engaging in "voter suppression" targeted at black voters," huffing that they "did not bother to inform viewers that the voters affected can resolve the issue on Election Day or at least cast provisional ballots so that the matter will not prohibit them from voting." Wilmouth groused further in an Oct. 15 post that "several MSNBC shows threw around charges of racism by Georgia Republicans as the liberal news network continued hyping the story of 53,000 new voter registrations being held in a "pending" status until those voters verify their information. Even though verification should be simple for most to do on Election Day, MSNBC hosts and contributors repeatedly made charges of racism by Republicans across several shows." He further huffed: "The fact that the registrations can be fixed when voters show up on Election Day was usually buried well into the segments, and, like previous coverage of the story from Thursday and early Friday, it was not mentioned that the reason a disproportionate number of minorities were affected was allegedly because a limited number of liberal groups that focused on registering minorities had completed forms incorrectly." Wilmouth never explained why these voters must wait until Election Day to "fix" their registrations when other voters do not have to do so. There was seemingly little research done into what the law actually did since [correspondent Nancy] Cordes was clearly relying on things “Democrats say.” “Kemp's campaign declined our request for an interview, but on Fox News, he insisted ‘exact match’ won't prevent people from casting their ballots... Election experts say the policy could still cause confusion. And if they didn’t have one of the six forms of acceptable ID (“a state driver’s license, a state or federal ID card, a valid employee ID from any government agency, a U.S. passport, a U.S. military ID or a tribal photo ID”), they can still fill out a provisional ballot. The next day, Wilmouth served up more talking points, bashing CNN's Don Lemon for having "engaged in "voter suppression" against black voters without mentioning key parts of the Republican side of the argument." Wilmouth declared that "Not mentioned on either night was Kemp's charge that the New Georgia Project, founded by Democratic nominee [Stacey] Abrams, which disproportionately registers minority voters, has a history of sloppily handling new voter registrations." On Oct. 22, Wilmouth harped again about "'sloppy' forms being presented by a liberal voter registration group founded by Democratic nominee Abrams which disproportionately concentrated on registering minorities." Over the past few weeks, the broadcast networks -- and especially CNN and MSNBC -- have promoted claims by Democrats that thousands of minority voters in Georgia have been discriminated against because at least 53,000 new voter registrations were put on hold as "pending" until mistakes could be corrected. But those same networks have ignored recent revelations about why those applications were put on hold in the first place that discredit claims of racial discrimination. But, earlier this week, both The Atlanta Journal-Constitution and conservative activist Erick Erickson have written up details of why many of the applications were put on hold. The bulk of the rejections -- about 39,000 -- did not contain proper Social Security numbers as required. And significant numbers of other applications on the list included 17-year-olds who had not yet turned 18, new American citizens who needed to prove their citizenship, applications with apparently made up names or improper addresses, and duplicates. Wilmouth didn't mention that the Journal-Constitution article also pointed out that government databases aren't integrated and that "Inconsistencies appear to be common among voting records, creating the possibility that discrepancies could result in registrations being placed on hold, said Burrell Ellis, the political director for the American Civil Liberties Union of Georgia," who cited his own experience of his name appearing differently in an online voter database and on his precinct card. The Journal-Constitution also cited another example of a man whose legal name is "Willie" being put on the pending list because government records changed his name to "William." So it's not entirely true that faulty registrations are the sole issue, and it's not entirely false to claim that the "exact match" law is a little on the picky side. Yet Wilmouth insists that any questioning of the voter registration system in Georgia is "discredited." And on Oct. 31, Wilmouth whined that "MSNBC host Andrea Mitchell gave former Virginia Democratic Governor Terry McAuliffe an unchallenged forum to repeat discredited claims that Georgia Republicans have engaged in "voter suppression" targeting African American voters" and that ", McAuliffe repeated the discredited suggestion that about 50,000 voter registration applications were put on "pending" status because of picky 'exact match' issues." His link on the word "discredited"? His Oct. 26 piece that censors any information critical of how the "exact match" law was being implemented due to inconsistencies and inaccuracies in records. 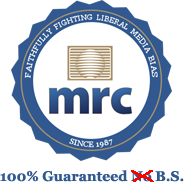 And that's how the conservative argument becomes correct and the non-conservative argument becomes "discredited" at the MRC. Last Wednesday, on behalf of “America’s Toughest Sheriff,” my friend and client Joe Arpaio, I filed suit in the U.S. District Court for the District of Columbia against the New York Times and its editorial board member Michelle Cottle for defamation per se, tortious interference with prospective business advantage and false light. The complaint can be found at www.freedomwatchusa.org and was filed as part of Freedom Watch’s Leftist Media Strike Force, which seeks to hold the dishonest and unhinged “fake news” left and other irresponsible and lawless publications accountable to the rule of law. The defamatory article at issue, published on Aug. 29, 2018, and written by Cottle, a member of the editorial board of the Times, is entitled “Well at least Sheriff Joe isn’t going to Congress: Arpaio’s loss in Arizona’s Senate Republican Primary is a fitting end to the public life of a truly sadistic man.” In this article, the defendants accuse Sheriff Joe of a score of heinous crimes and allegedly seek to trash and destroy his reputation and standing in the law enforcement and political community, severely damaging his future plans to run for public office again. The article is alleged to have been published with malice. The filing of this complaint was reported by every major publication in the nation if not the world, with the exception of – you guessed it – the New York Times, whose tag line and motto should now be “all the fake news that isn’t fit to print.” Obviously, the Times, stung by our damage claim for over $147,500,000, felt it prudent to shut up for once! That is because few if any conservatives who have been trashed and their lives ruined by this despicable leftist rag previously had the guts, save for the good sheriff and me, to take it on frontally. According to the brief Klayman filed, he never actually demonstrates that anything the Times wrote about Arpaio is, in fact, "false and defamatory." Instead, he claims Arpaio suffered "defamation per se " and declares that "As defamation per se, damage to Plaintiff Arpaio is presumed as a matter of law." The "tortious interference with prospective business advantage" stuff refers to Klayman's statement that Arpaio is planning to run in 2020 for the Senate seat formerly held by the late John McCain. Indeed, Arpaio seems not to be aware of Klayman's high failure rate in defamation lawsuits (and lawsuits in general). This one is unlikely to fare any better. Of course, the idea of Klayman accusing someone else of libel is highly ironic, since he has spent so much time hurling libelous claims himself. We've noted Klayman's Obama derangement over the years, which includes maliciously defamatory epithets like "mullah-in-chief, "Islamic mole," "traitor," "it is indeed more than likely that he pledges his allegiance to Allah," and "the most disloyal, anti-American, pro-Muslim, anti-Semitic, anti-Christian, socialistic and destructive president in our country’s brief history." If Klayman thinks Arpaio has a case against the Times, then Obama definitely has a case against Klayman. President Donald Trump is slamming claims by Democrats like Rep. Nancy Pelosi (D-Calif.) that Republicans want to eliminate health care coverage for people with pre-existing conditions. In fact, Republicans do want to eliminate health care coverage for those with pre-existing conditions -- something Bannister refused to report. The biggest example of this is the lawsuit pushed by attorneys general in 20 states, all of them Republican, aimed at abolishing Obamacare -- thus also abolishing coverage for those with pre-existing conditions. Congressional Republicans also voted down a measure to elimiate short-term health plans that don't cover pre-existing conditions. Further, Trump's own actions -- including reufsing to let Justice Department defend against the GOP attorneys general's lawsuit and the fact that one of the things he ran on was abolishing Obamacare -- show he's not really serious about preserving pre-existing condition coverage. In other words, Trump is lying. And Bannister won't tell you he's lying. When it comes to publishing lies and bogus claims, Bannister is having a very bad month. Poor guy. I’ve seen some dark places in the course of my life, the kinds of challenges that leave little doubt about the existence of an evil adversary. Thankfully, those experiences have not characterized my life. 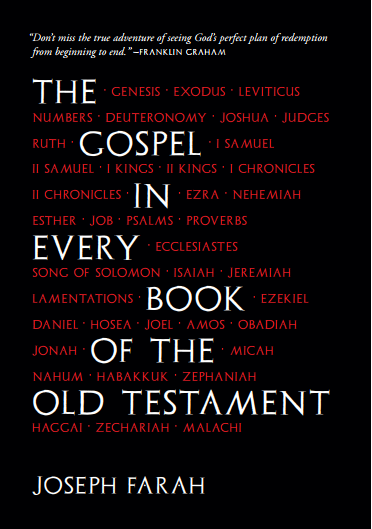 In fact, I have never seen anything quite like the last two years – since I began writing my newest book, “The Gospel in Every Book of the Old Testament,” which officially begins shipping today from the WND Superstore and soon Amazon and bookstores throughout America. There were days when I doubted it would ever happen. There were days when I cried like a baby because nothing that was supposed to happen did. I can’t even blame Google and Facebook for this. I can only blame the Dark Angel. The good news is it’s finished. The most important, substantive and meaningful project I have ever been involved in over my lifetime is completed – except for the promotional work. I can’t wait for those of you interested in it to see it. 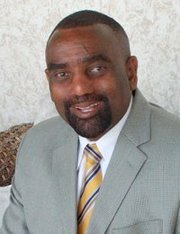 First, we would argue that Farah spending eight years trying to delegitimize a duly elected president by repeatedly insisting he was not born in the United States and deliberately censoring all the evidence discrediting that claim -- not to mention refusing to even admit that Barack Obama was president of the United States -- demonstrates that he is a man who is, in fact, operating from a very dark place that characterizes his life. Second: Farah seems to have taken our advice to do a modest launch of his book commesurate with WND's current resources. You might recall that earlier this year Farah was begging for $200,000 -- later upped to $400,000 without explanation -- to do a massive first printing of 100,000 copies of his book, citing interest from the Billy Graham Library and the Museum of the Bible. Farah even set up a way to make tax-deductible contributions to support the book through a murky deal with a ministry called Gospel for All Nations. Farah and WND never told us how successful that campaign was -- they simply stopped soliciting for it, which tells us it was decidedly less than successful and that it raised nowhere near the money being sought. The support for a massive first printing appears never to have been there in the first place; at this writing, Farah's book is ranked No. 10,138 at Amazon, and even when the category is ridiculously narrowly defined -- in this case, three catetories relating to Old Testament Bible studies -- it ranks no higher than 20th. As far as Farah blaming "the Dark Angel" for his tribulations, he once again overlooks himself. It seems Farah took his eye off the ball, focusing on writing his book as WND's finances imploded, forcing him to do a hasty begging campaign at the start of the year and another one this summer. And, as usual, there's no acknowledgment of how WND's editorial policies of conspiracy-mongering and fake news played a major role in destroying his company. P.S. We couldn't help but notice the self-aggrandizing bio of Farah on the Amazon page for the book: "Joseph Farah is the author, co-author or collaborator on more than a dozen books that have sold millions of copies." The vast majority of those "millions of copies" are due to one book: "See, I Told You So," which he ghost-wrote for Rush Limbaugh. Books under his own name have never sold anywhere near as well. Is The MRC Giving Gavin McInnes A Pass Because He Works for Mark Levin? 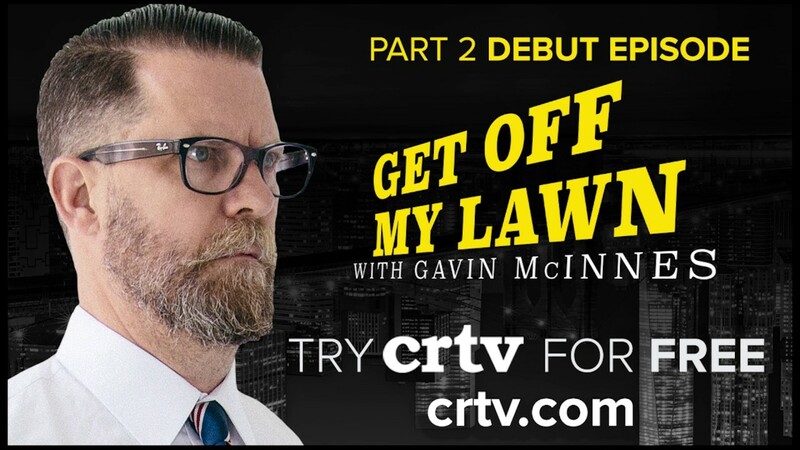 CRTV host Gavin McInnes is the founder of the Proud Boys, a misogynist, violence-prone group (no matter what Jesse Lee Peterson says). He's so notorious that the Southern Poverty Law Center and the National Review agree on his odious allure. McInnes is a piece of work, as you might imagine; he spouts racist rhetoric even as he insists he can't be a white supremacist because he's married to a woman of color. And Facebook and Instagram just shut down pages affiliated with McInnes and the Proud Boys because of their racist images and incitements to violence. But we found only five references to McInnes on NewsBusters, the MRC's main content outlet. Two are columns by Michelle Malkin, who like McInnes is a CRTV employee. The third is a 2015 piece by Tim Graham quoting a McInnes tweet about drawing Mohammed. The other two, though, are pieces by Corinne Weaver -- who also wrote the above-referenced pieces about Gab -- on Sept. 25 and Oct. 4, both of which complain that an antifa-adjacent group "doxxed" McInnes by posting his phone number on Twitter. The earlier post described McInnes as "the founder of Vice Media and host of a show on the Conservative Review," while the second didn't describe him at all. Weaver didn't mention McInnes' link to Proud Boys violence, or that the group mocked McInnes in the "doxxing" by asking people to "tell him you love white genocide." A piece on MRCTV on the "doxxing" of McInnes did include the mocking message, but writer Nick Kangadis benignly described McInnes only as a "fiery Conservative Review commentator and host" and excluded his links to the violent Proud Boys and rushing to his defense: "McInnes may say some controversial things at times, but at least he tells it like it is. 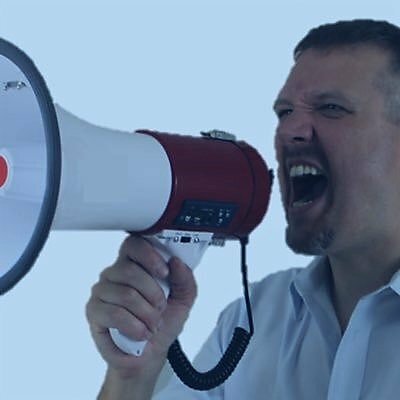 His brand of political analysis might not be for everyone, but that’s not an excuse to essentially dox him and open him up for more constant harassment." Kangadis didn't explain how advocating violence is "telling it like it is." Why is the MRC giving the obviously offensive McInnes the kid-glove treatement? Perhaps because of who employs him. CRTV is part of Conservative Review, which was founded by right-wing radio host Mark Levin, who also serves as its editor-in-chief. Yes, the same Mark Levin who's a friend of the MRC and chief Brent Bozell, whose "news" division CNSNews.com published more than 100 articles about him in the first nine months of 2018 alone. So, no, the MRC isn't going to criticize McInnes and and make Bozell's buddy sad. P.S. McInnes isn't the only dubious right-winger employed at Levin's CRTV; it recently hired Eric Bolling, the former Fox News host who left the channel last year following allegations that he sexually harassed Fox News colleagues. And, no, the MRC has never mentioned those allegations. Like a good, loyal pro-Trump apparatchik (as well as a longtime immigrant-hater), WorldNetDaily is doing what it can to fearmonger about the migrant caravan coming up Central America to seek asylum in the U.S. In fact, the Guatemalan newspaper that originally reported the claim about the ISIS arrests did not specify a time frame in which those arrests took place , and no evidence was provided to support the implication that ISIS terrorists were, in fact, part of the caravan. 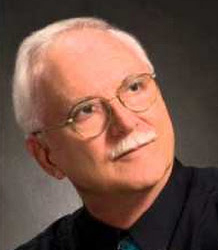 Art Moore offered more uncritical stenography in an Oct. 23 article stating that "The Department of Homeland Security said Tuesday it can confirm that gang members and males from the Middle East and Asia are in the caravan headed for the United States that began in Honduras." Moore cited only a tweet from a DHS official and offered no evidence to prove the claim. Meanwhile, an actual news outlet is embedded with the caravan and has not seen any Middle Easterners, and it reported taht another DHS official said the other official's tweet referencing Middle Easterners did not refer to the caravan specifically. Despite Judicial Watch's dubious grasp of the facts, WND fearmongered again on Oct. 26 by uncritically repeating the group's unsutstantiated claim that "A number of human smugglers operating inside the caravan moving from Central America through Mexico toward the United States’ southern border have been arrested, and seven unaccompanied minor children have been rescued." Judicial Watch vaguely cited "exclusive information and photos from Guatemalan authorities" but WND mentioned no physical substantiation of the claims. WND gave up on fact-checking completely for pure speculation in an anonymously written Oct. 29 article headlined "Worst fears about migrant caravan ... likely true," in which even more dubious sources like Infowars and Gateway Pundit are cited to fearmonger further about the caravan. Treating speculation as fact isn't going to help WND find the road to solvency. “We have to have total clarity about what we do, when it comes to everything,” Pelosi said, citing causes like abortion rights, gay marriage, immigration and gun control. Bannister conveniently omits the context of Pelosi's conversation with Krugman -- probably because he wouldn't have a blog post otherwise. As Wonkette explains, Pelosi and Krugman were discussing climate change and its connection to job creation and prosperity, and Pelosi's reference to "collateral damage" refers to those groups who would suffer as a result of efforts to try to stop global warming, i.e., oil companies. Bannister also included a video of Pelosi's remarks, which Wonkette identified as deceptively edited because it, like Bannister's post, removes the context. But reporting Pelosi's remarks accurately and fully in context was apparently too much work for Bannister, who took the lazy way out and decided to smear her instead. CNS has yet to fix Bannister's misquoting of a reporter to justify President Trump's insult of her, so don't expect it to rush to fix this. The SPLC recently labeled Proud Boys as a “hate group.” Proud Boys are a fraternity headed by talk show host Gavin McInnes, founded to promote pride in Western Civilization. Proud Boys typically show up to protect Trump supporters and free speech advocates at rallies. The media call the Proud Boys “violent” for getting into fights with Antifa’s “masked protestors.” The left don’t care that Antifa vandalizes property and attack people at events – including law enforcement and anyone with a camera. Their disavowals of bigotry are belied by their actions: rank-and-file Proud Boys and leaders regularly spout white nationalist memes and maintain affiliations with known extremists. They are known for anti-Muslim and misogynistic rhetoric. Proud Boys have appeared alongside other hate groups at extremist gatherings like the "Unite the Right" rally in Charlottesville. Indeed, former Proud Boys member Jason Kessler helped to organize the event, which brought together Klansmen, antisemites, Southern racists, and militias. Kessler was only “expelled” from the group after the violence and near-universal condemnation of the Charlottesville rally-goers. McInnes himself has ties to the racist right and has contributed to hate sites like VDare.com and American Renaissance, both of which publish the work of white supremacists and so-called “race realists.” He even used Taki’s Magazine — a far-right publication whose contributors include Richard Spencer and Jared Taylor — to announce the founding of the Proud Boys. Further, the day Peterson's column appeared, three Proud Boys were arrested for brawling the week before with anti-fascist groups protesting a speech by McInnes. Some "fraternity" you got there, Jesse. Once again, we're seeing that right-wing rhetoric promoted by WorldNetDaily has found an echo in the perpetrator of a mass killing. Robert Bowers' main target in the Pittsburgh synogogue shooting, in which he killed 11 people, was HIAS, formerly known as the Hebrew Immigrant Aid Society, which has an affiliate in Pittsburgh. Before the massacre, he tweeted that ""HIAS likes to bring invaders in that kill our people. I can't sit by and watch my people get slaughtered. Screw your optics, I'm going in." As it so happens, WND has spent the past few years trying to demonize the agency for bringing in refugees. In 2014, immigrant-hating, Muslim-hating reporter Leo Hohmann complained that HIAS said it was "unacceptable and un-American" for what he called "unaccompanied alien children" to navigate the U.S. legal system without a court-appointed lawyer, and that it "provide[d] a form letter on its website for supporters to send to members of Congress" that was "continuously pushing for more money to pay for higher levels of resettlement work." Another 2014 article by Hohmann listed HIAS among agencies that "often do the bidding of the U.N. High Commissioner for Refugees" and "push for more foreign refugees to be resettled in America, which results in more federal grants flowing into their coffers." A May 2015 article by Hohmann detailed how HIAS issued a "field manual" on overcoming resistance to refugees in some commiunities, which Hohmann later described as "a strategy to deride and intimidate any politician or activist who opposes the refuge industry’s agenda to change the demographics of a town." Hohmann claimed the report was underwritten by "a wealthy New York family foundation," and complained that HIAS "is one of nine government contractors who do the resettlement work in more than 190 cities and towns across the U.S. These contractors subcontract with more than 350 smaller agencies and church groups to get the refugees settled into subsidized housing, get their children enrolled in school and families signed up for Medicaid." 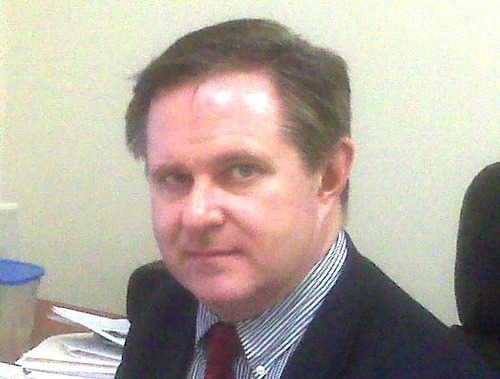 Hohmann wrote that "Hebrew Immigrant Aid cited fear of terrorism as one of the primary concerns that residents have with Muslim refugees settling in their communities" and that "the report blames the backlash not on any failure of the government to properly vet refugees but on “anti-Muslim views” held by native-born Americans," then argued the anti-Muslim fear was wholly justified: "Since the report was written in February 2013, scores more Somali refugees have been arrested for providing material support for overseas Islamic terror groups such as al-Shabab. Still others have left the country to fight for ISIS and al-Shabab." Hohmann also claimed of the "playbook" that "Among the recommendations given by HIAS was to monitor and research the backgrounds of 'resisters' and turn them in to the Southern Poverty Law Center, a far-left 'watchdog' that has in recent years taken to branding mainline Christian organizations such as the Family Research Council as 'hate groups.'" In July 2015, Hohmann wrote of an incident in which anti-refugee activists were exposed as intolerant, then quoted anti-Muslim, anti-immigrant activist Ann Corcoran ranting, "This kind of trashing of the First Amendment rights of average American citizens who speak out or even question the refugee program is right out of the playbook of the Hebrew Immigrant Aid Society’s document." In September 2015, Hohmann claimed that HIAS "started out as a rescue mission for persecuted Jews but now relocates mostly Muslims to the U.S."
In 2016, Hohmann groused that a flood of Honduran refugees weren't actually fleeing violence, citing HIAS as among "religious groups [who] have also done their part to push the “migrants as refugees” narrative" and "have answered the call of the Obama administration, offering shelter, legal aid, advocacy and lobbying, and other mostly government-funded aid to the migrants." Hohmann wrote in 2017 that HIAS was among "well-heeled resettlement agencies" who "certainly will file lawsuits against any Trump plan that drastically reduces or eliminates the number of refugees flowing into U.S. cities." Hohmann also accused HIAS of "secretly placing refugees into U.S. cities," later asserting that the group is "57 percent funded by taxpayers." One of Hohmann's final articles for WND was a January 2018 piece listing HIAS among resettlement agencies that allegedly "serve as virtual headhunters for these global conglomerates in search of cheap labor for their hotels and factories. Hohmann wasn't the only WND writer fearmongering about HIAS. An August 2015 column by anti-Muslim activist Pamela Geller ranted that "The Democrats have made refugee resettlement a lucrative business for agencies like" HIAS, adding that it's "ironic how most of these agencies represent religions that are being persecuted and slaughtered by these very Muslim communities. In its initial report on the Pittsburgh shooting, an anonymous WND writer noted Bowers' tweet attacking HIAS -- but it didn't note the years WND has spent demonizing the group. Meanwhile, Hohmann -- who's now a freelancer -- hasn't written on his own site in nearly a month, so we don't know how he feels about Bowers' massacre and the role hatred for HIAS played in it. A leaked Google report showing its struggles to balance free speech protections and fights against harmful and hateful speech got a lot of play in the usual right-wing circles when Breitbart published the report earlier this month. The Media Rsearch Center's Corrinne Weaver described the report as a justification on how "in order to prevent certain political events, tech companies would have to start censoring web content," and MRC chief Brent Bozell ranted that the report "confirms our worst fear. Contrary to Google's public statements and what they have said to us in private discussions, Google is in the censorship business and apparently the lying business as well. " Weaver found nothing wrong with Soros' statement -- she's just mad that Soros was quoted, period. The MRC has been at war with Soros for years, even employing anti-Semitic imagery to promote it. Arnold’s surrender here is much more than a humorous blip in the war between the sexes; it is a warning signal of the degree to which the feminization of the country has progressed in the last decade. If Schwarzenegger can go down so completely in so short a time, then what about the country as a whole? Will masculinity soon be a thing of the past? A girly man is uncertain about and possibly repulsed by his masculinity and its rigorous standards and implicit responsibilities. He does not like conflict, demands to be tough and moral interdictions that interfere with his self-indulgent lifestyle. He is a follower and not a leader, and is a poor candidate for soldier, father, high political office, or patriot of the year. He is the essence of “snowflake,” almost surely a Democrat and, for the most part, harmless. Ideally, the female of the species makes the transition first from girl-to-woman, and then to the ultimate stage of lady. In the column Genteel ladies vs. Stone Age venuses,” I argued that the developmental stage of “lady” is achieved by few but desired by many. A lady is a person of distinction who goes beyond simple personal happiness and is a cultural pearl of great price. She is a person of poise, civility, generosity and has a refined sense of social presence. I mentioned the duchess of Cambridge, Kate Middleton, as exemplary, and, certainly, Melania Trump is a stellar example of the refined lady. My latest heroic lady is Nikki Haley who has done a fabulous job as U.S. ambassador to the U.N. – and she can knock heads with the best of them! Traditionists, conservatives, Christians and Republicans seem to have many ladies among them, but the wild and wooly lefties of the Democratic Party are currently mired in raucous, raging and politically inarticulate girly girls who range from 10 to 90 in chronological age. The perky and socially attractive Alexandria Ocasio-Cortez represents the left’s kinder version of emotion-dominated and simplistic socialism, whereas the raging, screaming and attacking viragos that dominate Democratic “protests” and in-your-face bullying and anarchy define the dark side. It is shameful that the Democrats seduce these young and often maladjusted girly girls to do their dirty work and thereby jeopardize their hopes of womanhood and even ladyhood. Who would want to date, hire, or marry one of these raging, man-hating creatures? So Arnold, I am really disappointed in you, and your image with real men is shattered forever. Your sudden and full surrender to the girly girl wing of the left reveals that you are one of them! Like a French girl buying lipstick as the Nazis marched into Paris, you are now a collaborateur in the regressive culture wars roiling the nation. Funny how Bailey's ideal of masculinity and feminity appears to be wholly dependent upon the political philosophy of the person. It's as if there's an element of quackery to his ""human paleopsychology." Last week, we detailed how CNSNews.com editor in chief Terry Jeffrey fretted about the rising federal budget deficit and debt while failing to mention the fact that a Republican-promoted, Trump-signed tax cut played a big role in increasing the deficit this year. The total national debt increased by more than a trillion dollars in Fiscal 2018, reaching $21.5 trillion at the end of September; and the FY '18 budget deficit was almost $779 billion. It's driven by the three big entitlement programs that are very popular – Medicare, Social Security, and Medicaid. That's 70 percent of what we spend every year. The subject we were just discussing, the funding of the government, is about 30 percent of what we spend. There's been a bipartisan reluctance to tackle entitlement changes because of the popularity of those programs. Hopefully, at some point here, we'll get serious about this. We haven't been yet. McConnell said the opportunity for entitlement reform existed during the Obama years, when for six of those years, Republicans controlled either one or both chambers of Congress. "I talked to President Obama about it a number of times," McConnell said. "It would have been the perfect time to do it. Think of Reagan and Tip O'Neill coming together in the early 80s to raise the age for Social Security. It took it out of the political arena and made it possible for it to be successful... unfortunately, it was not achieved." Democrats blame the Republican tax cuts for ballooning the FY 2018 deficit, and they consistently resist any attempt to trim entitlements. In fact, there are three main drivers of the current deficit: The Trump tax cut, military spending and entitlement spending. Also, note how Jones framed the idea that the Trump tax cuts blew a hole in the deficit as a partisan debate by complain that it's what Democrats say rather than an undisputed fact. Well played, Susan. 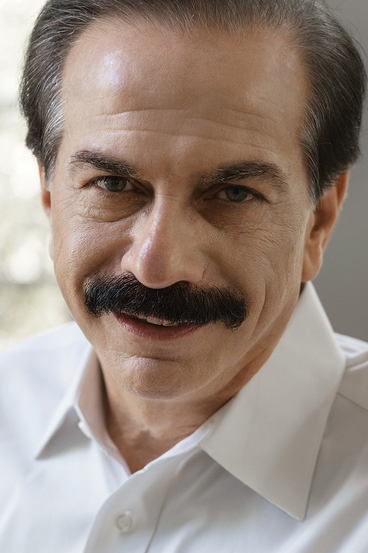 Over the past few months, WorldNetDaily editor Joseph Farah's column has consisted almost entirely of either begging for money from readers to keep WND alive (and ranting about the internet "cartel" purportedly conspiring to put him out of business) or promoting his new book about the Bible. He hasn't even written about Brett Kavanaugh's Supreme Court nomination despite originally opposing it because Kavanaugh was a part of Kenneth Starr's investigation that he deemed insufficiently vengeful against the Clintons. Already we’ve had real, potentially lethal violent attacks from actual Democratic campaign operatives – one designed to wipe out a group of Republicans believing they could still hold baseball games with their “colleagues.” One, Steve Scalise, the majority whip, was nearly lost. Another senator, Rand Paul, is still dealing with a vicious physical attack. The man who shot Scalise, James Hodgkinson, was not an "actual Democratic campaign operative" -- actual Democrats where he lived had never heard of him -- nor was Rene Boucher, the man who attacked Paul over a yard-waste dispute, not politics. Americans are being bullied into keeping their mouths shut. Most of us don’t like unpleasantness like this. They avoid cities for lots of reasons – they’re controlled by Dems, which means they are not controlled. We’re all losing our liberty. Now the Honduran storm troopers are here. What else can we call them? Meanwhile, we have Dems ready to drop ICE if they are able to take power. Wait, what? The migrant caravan arching through Central America attempting to reach the United States to seek asylum are "storm troopers"? Where did that come from? Farah's intemperate rant looks even worse when you consider that two days later, a man killed 11 people at a synagogue in Pittsburgh in no small part because he was angry that Jews were allegedly aiding immigrant refugees in the caravan, whom he called "invaders." Maybe Farah should just stick to begging for money and plugging his book.